With the table lamp Milk, the designers of Norm reinterpret the classic Nordic milking stool and give it a new purpose. 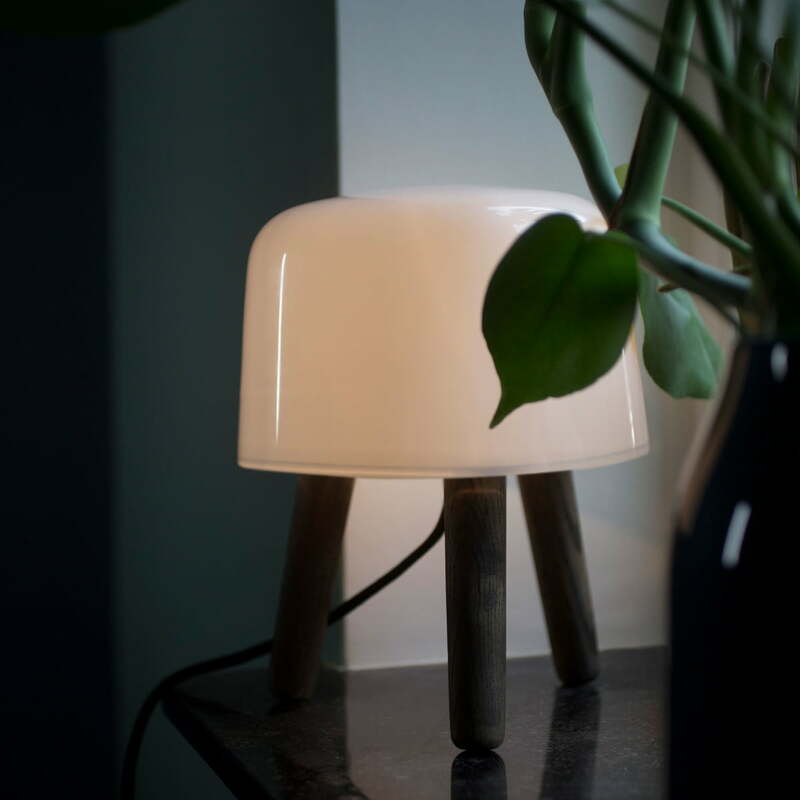 The small Milk table lamp imitates in its shape a traditional stool, whose seat is situated on a three-legged wooden base. 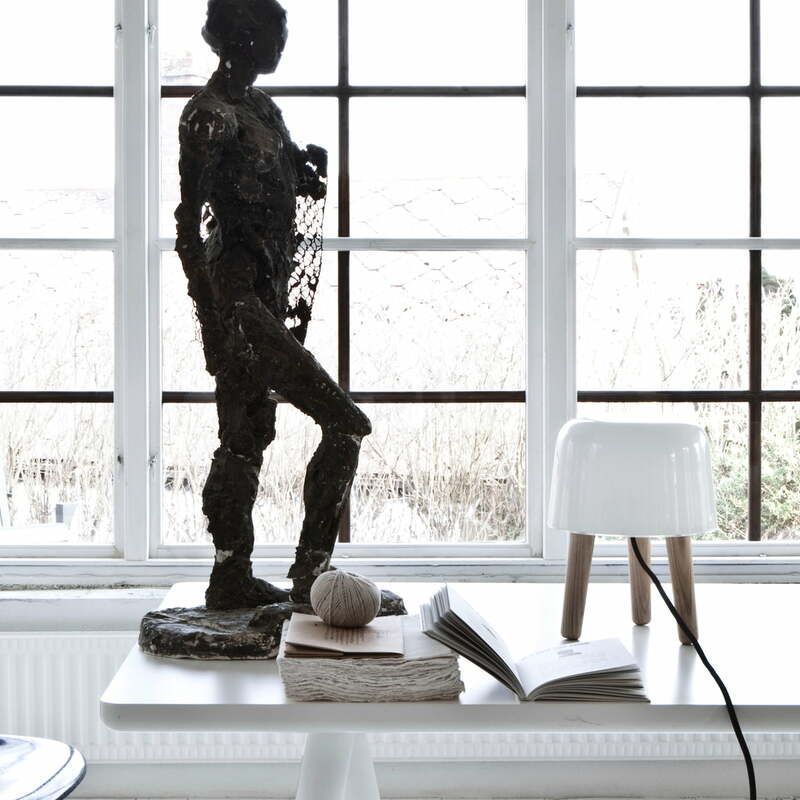 This hints at the inspiration of its designers, which not only reinterpreted a traditional object, but also continue with the Scandinavian tradition of products made of wood and glass. Milk is a small table lamp whose shape is designed so that it will find space in even the smallest corners. The smooth round shapes and the soft light of the lamp give the room a comfortable atmosphere and light up the room, body, and soul.